My dad’s formal dining room table used to be one of my many craft supply dumping spots. I do not think the original owner—my VERY formal great-grandmother—would have approved. I had to clear it off for my little sister’s baby shower, and I made a new resolve to keep it cleared off and looking perty. However, it always used to have a peach table runner on it that my mom made, so it looked a bit…..empty. I decided to make a lovely fall table runner for it, but I wasn’t able to ever find the time to sew something up. But then one day I was walking through Michael’s when I spotted these felt leaves in a bin and an idea clicked in my brain. HOT GLUE THEM TOGETHER! Yep, that’s right, I used four felt leaves and a bit of hot glue to whip this puppy out. Let’s take a closer look. 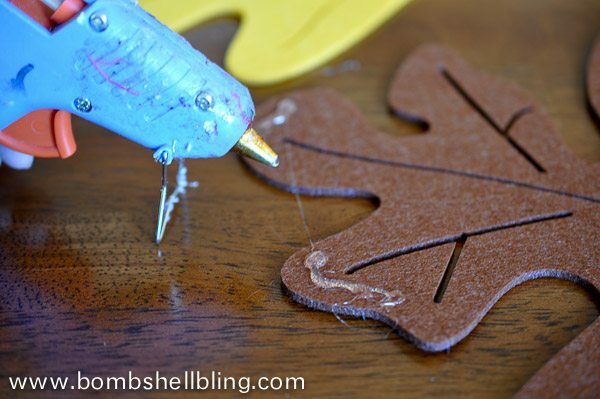 The only supplies that you need for this project are felt leaves and a hot glue gun. 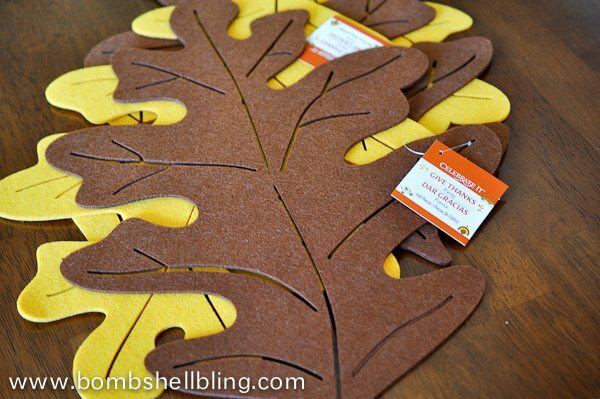 I got my felt leaves at Michael’s, but I have since seen similar things at several places, including Target. Simply put a bit of hot glue on each leaf and stick it to the next leaf! Repeat until you are done! It’s one of the cheapest and easiest crafts that I have ever made, and now I can use it for years to come! I’m pretty pumped about it, I’m not gonna lie. 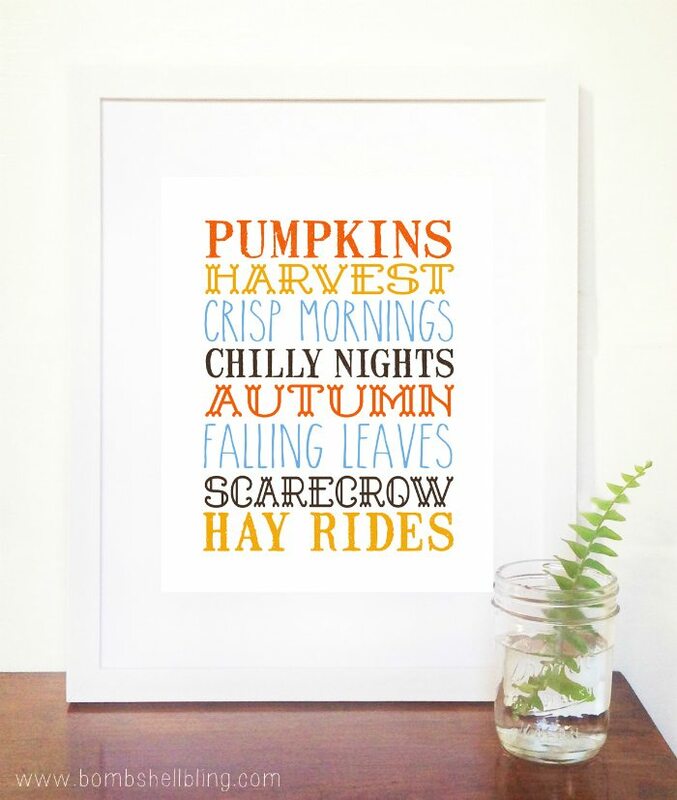 Be sure to follow my Fall: My Favorite Season Pinterest board for more autumn-loving inspiration. Cute Sarah! I could use something simple like that for my table. We only have a kitchen table, so I can’t keep anything too fancy on there, since we are always using it to eat, craft, do homework, etc.! This would be great then b/c it’s so cheap you won’t be out much time or money if it gets trashed! 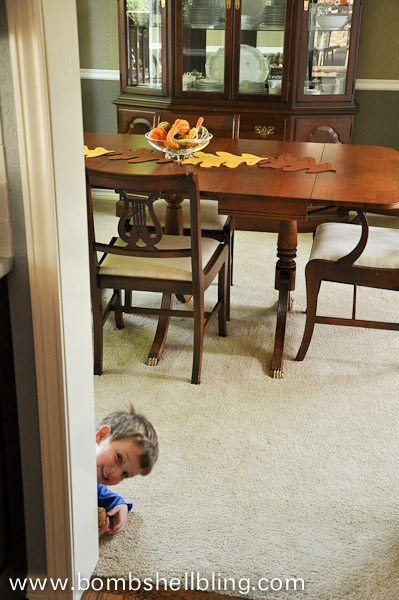 Super cute, easy and inexpensive!! Love it!! Pinning!! I bought my leaves at the Dollar Store! Whoo-Hoo! Great idea…you might also use plastic snaps…that way you can take apart to store flat. Very simple and that is perfect. Thanks for sharing at #Throwback Thursday. Please join us again and remember this week will focus on Thanksgiving recipes. Love your quick & easy table runner. Thanks for sharing at the Inspiration Spotlight party. Pinned & shared. 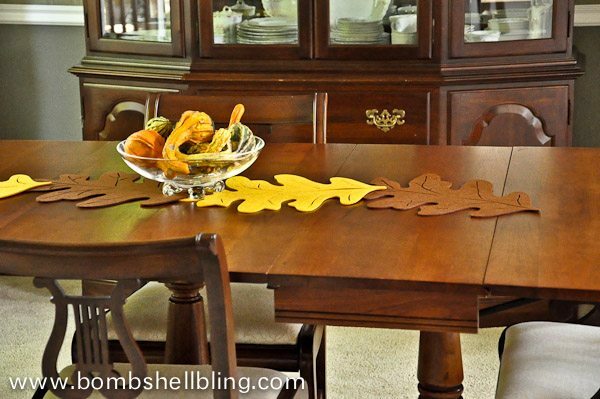 Love the simplicity of your very handsome table runner, it’s just right with Fall colors and texture. Will be making one of these when I see those leaves, maybe at $tree or wherever I can find them. Think I have some big leaves for Fall somewhere but will buy some more, can always use more, make a runner for our daughter’s home. 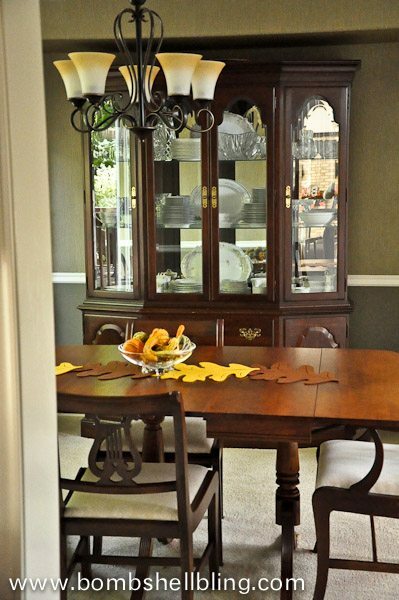 Your dining room and furniture are lovely, our daughters table is very similar to yours.